Ever seen a hot air balloon? Isn't it amazing and fascinating to say the least? Well, that's why we have crafted perfectly and exclusively for you a miniature version of it. You can give this gift which is perfectly suited for all occasions to your near and dear ones. This visually appealing present consists of 1 bucket of resplendent, blooming and fragrant roses, in a deep red color! 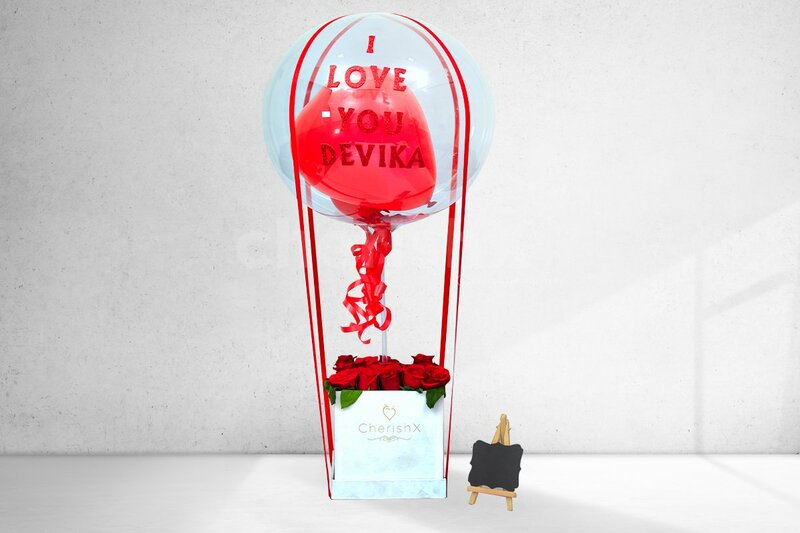 The other component of this gift is one customized helium see- through balloon filled with 2 red heart balloons. A treat to the eyes! What's more, this surprise can be delivered to an address of your choice, anywhere in Jaipur.